Este restaurante ha cerrado permanentemente. They are CLOSED permanently. Made reservation on Opentable, turned up and the place was gutted. The supposed owner was there and less than gracious. Such a shame as it was the best Mexican food in London and it’s obvious the owner (of property) doesn’t care about customers. Food was delicious. You choose 4-5 plates for 2 people. Was enough for me and my partner. We also got a desert and a bottle of wine. We were seen by 3 different waiters and at times they were more interested in chatting at the bar but overall was a nice evening. Would probably choose a new dining place rather than visit here again purely because we like to try new places! Best tacos in London. It is truly one of my go-to places, eat here more frequently than anywhere else in central London. 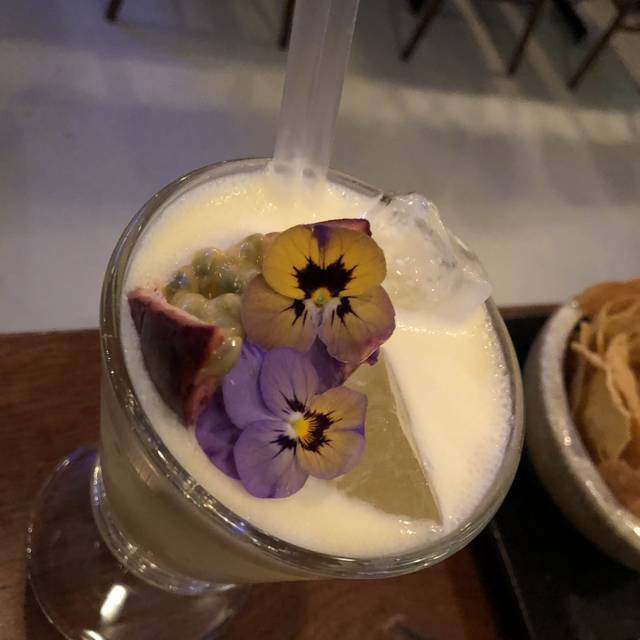 It is consistently good and the drinks are great as well. Good Mexican food is very hard to come by in this city and this place is legit. Safe to say I've converted him! Really friendly staff and delicious food. Took one to chat and gave us a free round. Excellent guacamole! The tacos were amazing and perfect for sharing, aprticuarly as we arrived during happy hour with 2-for-1 cocktails and tacos! We had the beef tacos, octopus tacos and baja fish. 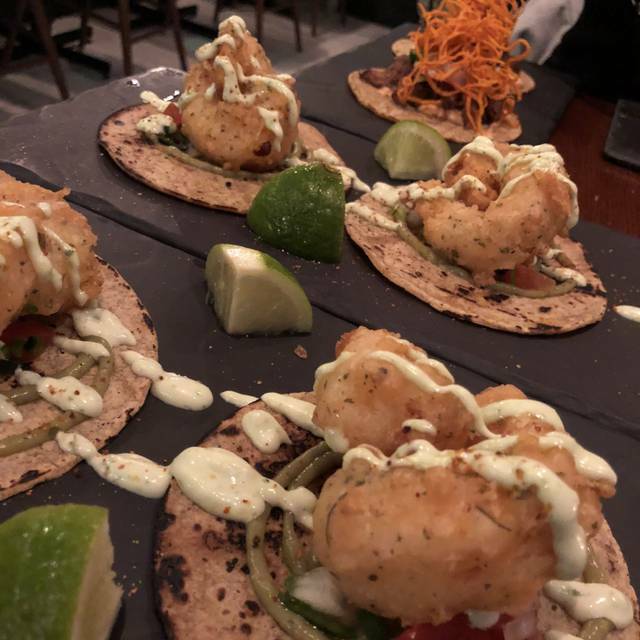 I'm from California and have missed proper baja fish tacos and these were great! The fish wasn't too battered and was plump and juicy! 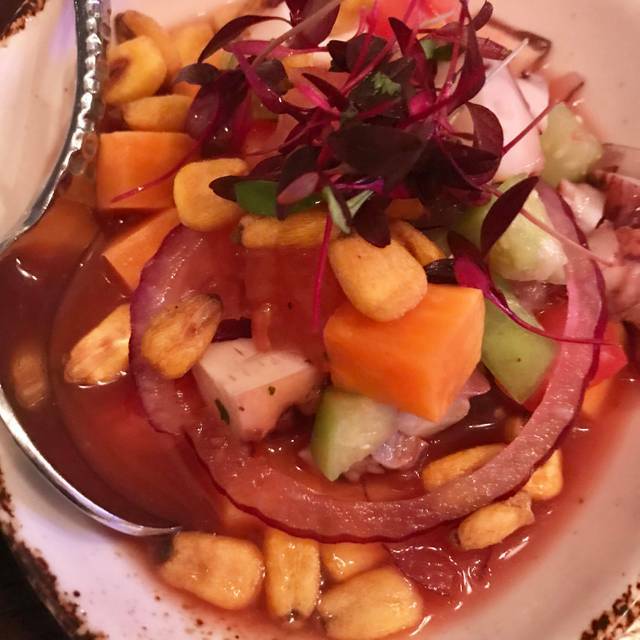 We also ordered the sea bass ceviche, which was quite disappointing as it was more of a gazpacho and didn't come with any tortilla chips, which traditionally ceviche is served with. This is a great place for sharing plates of tacos, tostados etc. We enjoyed the tuna tostada and the octopus taco. The garlic prawn main with ancho sauce was very good. Steak was disappointing. Next time we will have more smaller plates and perhaps only 1 main. Margaritas were excellent. Food was good. Unfortunately the service was non existent. They swapped out my partner’s pulled pork because they ran out of pulled pork and couldn’t be bothered to let him know. Also one of our dishes didn’t arrive. Le service était peu accueillant et la table était trop petite. 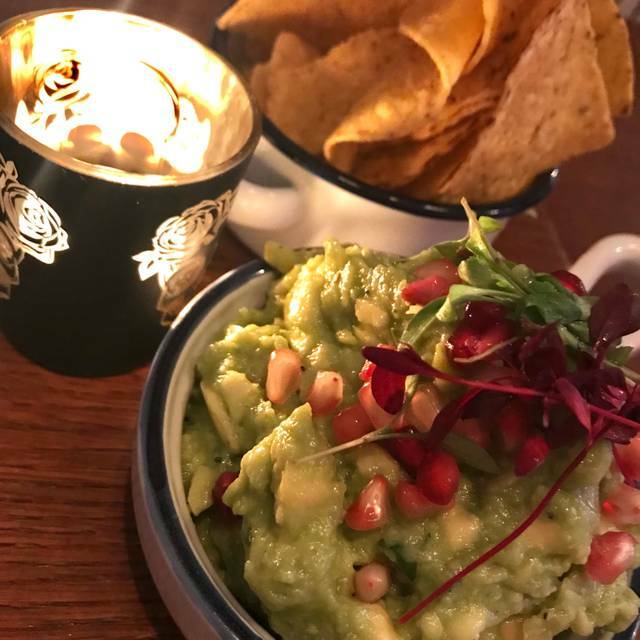 The best guacamole and chips in London! 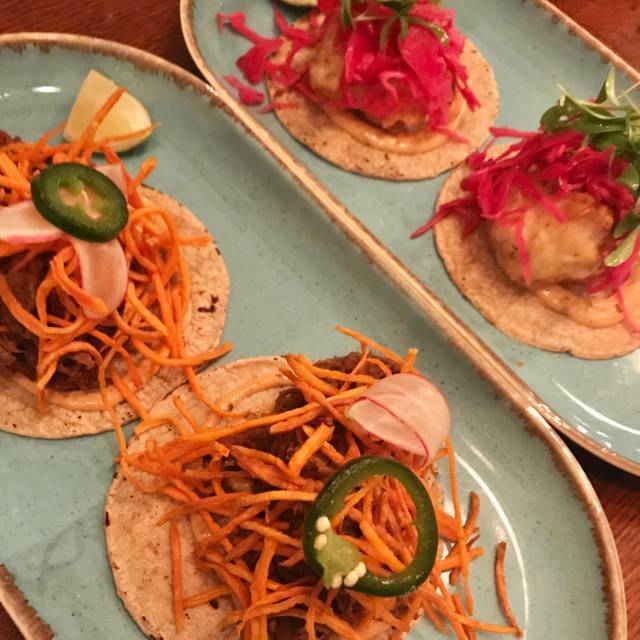 The tacos change seasonally while a few favourites are kept. They come in twos so it's a lot of fun to try a few and share. excellent restaurant with attentive staff. food choice good and beutifully cooked. prices excellent for London. Went for lunch, great service, the food tasted like authentic mexican food, the staff and the owner very friendly people, overall a great experience. Trying the coconut tequila its a must! Really enjoyed the place however service is always complicated. You need to ask several times for water/menus/anything. Tacos all the way- fish, pork, beef and chicken were all delish! Wash down with margaritas! The Tiger Shrimp Taco was awesome! Will get back soon. Great food and choice of food and the service was amazing. Get in there for happy hour and seabass ceviche is recommended ! We were in the mood for the authentic Mexican molé dish, so we were very excited to go to a restaurant with this name. Turns out, despite the name, molé (or even guacamole) doesn’t exist on the menu and the staff didn’t have a clue what it was. Quite misleading; you’re not going to call your restaurant ‘Pizza’ if you only serve burgers, right..? Despite this disappointment and the additional long wait (both food & drink orders were forgotten multiple times), the food we eventually received was actually quite tasty. I would recommend the food but I wouldn’t recommend the service. Poor choices for vegetarians. Menu very limited. Good cocktails. Great tacos, both ingredients and tortillas. Interesting tequila and mescal list, ask for the mysterious but very nice drink. And very good service. 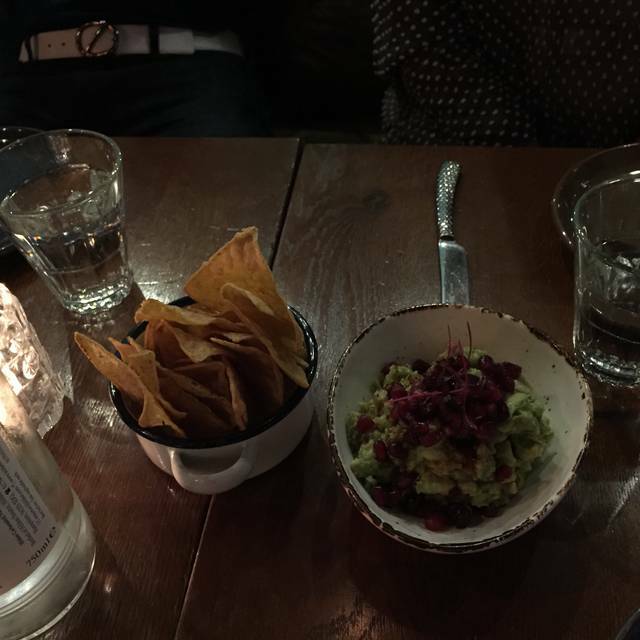 Quality of food was poor, didn't taste very authentic (pomegranates in the guacamole? ), wont be going back. The food, once it arrived, was pretty good but the service was awful. They forgot 2 of our dishes, we had to wait ages for drinks and we ignored for ages. There seemed to be a lack of communication between the staff. Such a shame as the food was lovely and not too expensive either, but we probably wouldn’t go back. Its a great cosy restaurant. The food is wonderful and there is a good selection of cocktails. Space is a bit tight but that actually add to the ambience. They have good background music playing and the service is friendly. I would certainly go back. They have a special Xmas menu - i would certainy go back for this. My son and I had a quick lunch at Mole recently. There was a good selection of Mexican dishes on the menu both large and small. Everything came at once which we hadn't expected and meant the table got a bit crowded. The food was tasty and service swift. 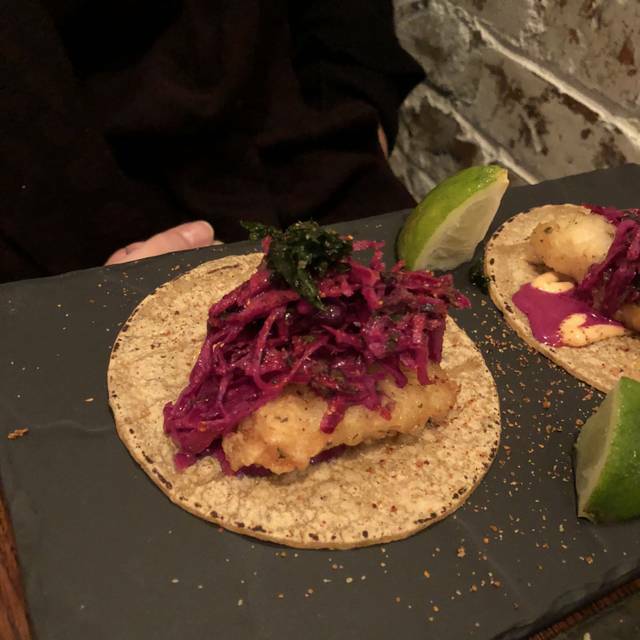 Fantastic tacos, though a bit over-priced. 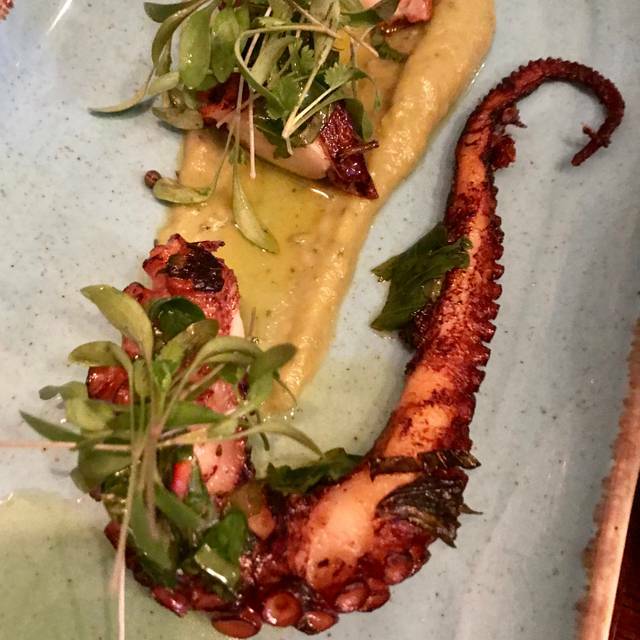 Prefect for quick lunch and get together, delicious small plates.